Ma Yuan was one of the first avant-garde writers in China in the 1980s, experimenting with fragmentation of time and space and overlapping story lines. His work caused a storm in China’s literary world. His impact on the developments of contemporary literature in China in the 1980s and 1990s was huge. Ma Yuan lived in Lhasa for seven years and reached the height of his literary career during that time. Consequently most of his work is set in Tibet. 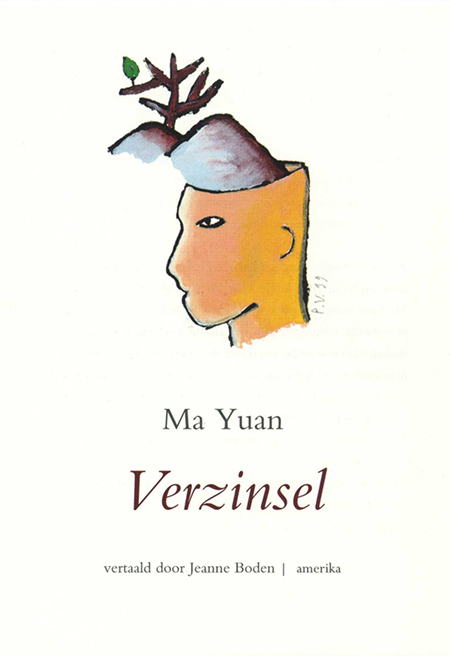 Verzinsel (Fabrication) is an experimental story in which Ma Yuan appears as the protagonist. As if sharing his personal experiences, he tells a story about a visit to a leper village in Tibet. There he meets all kinds of strange people: an old Chinese Nationalist who has been hiding there for thirty years, a Loba Tibetan making Buddha sculptures, and a leper woman he has a love relationship with. Verzinsel is a fascinating and confusing experience.